More than three weeks after a school shooting at the Marjory Stoneman Douglas High School in Parkland, Florida, left 17 people dead, students are demanding that Congress pass tougher gun laws, but so far U.S. lawmakers have failed to act. In the absence of federal action, gun control advocates are urging states to take up the fight — and point to Connecticut as a successful model. After the massacre at Sandy Hook Elementary School more than five years ago, the state passed some of the toughest gun laws in the country, and advocates say they’re working. School safety and the Parkland shooting were the focus of a recent discussion at the Silver Lane Elementary School in East Hartford, Connecticut. The small gathering included Gov. Dannel Malloy, school administrators, teachers and parents. As a parent, Nathaniel understands that worry. Back in 2012, about an hour south of East Hartford, Adam Lanza shot his way into the Sandy Hook school in Newtown, killing 20 first graders and six educators. Since then, there have been more than 200 school shootings across the country, according to one tally. The Connecticut model is a series of gun measures that are among the toughest in the country, after people like Po Murray, of Newtown, demanded action. “I did not lose a child, but the shooter was my neighbor, and I have four children who attend the Sandy Hook Elementary School,” said Murray, who heads the Newtown Action Alliance, which advocates for stricter gun laws. After the shooting, advocates like her wanted Congress to take action. But in the wake of the nation’s worst school shooting, Washington did nothing. But where Congress failed to act, Connecticut did. State lawmakers expanded an assault weapons ban and outlawed high-capacity magazines. They required background checks for the sale of all firearms, tightened gun ownership regulations, and increased funding for mental health and school security. Malloy pushed hard for the measures. He says they’re working. “Crime is down here, homicides are down here, violent crime is down here more than anywhere else in the country in the last four years,” Malloy told WBUR. Malloy said Florida lawmakers should have passed similar laws after the 2016 attack on the Pulse nightclub in Orlando, when a gunman slaughtered 49 people. 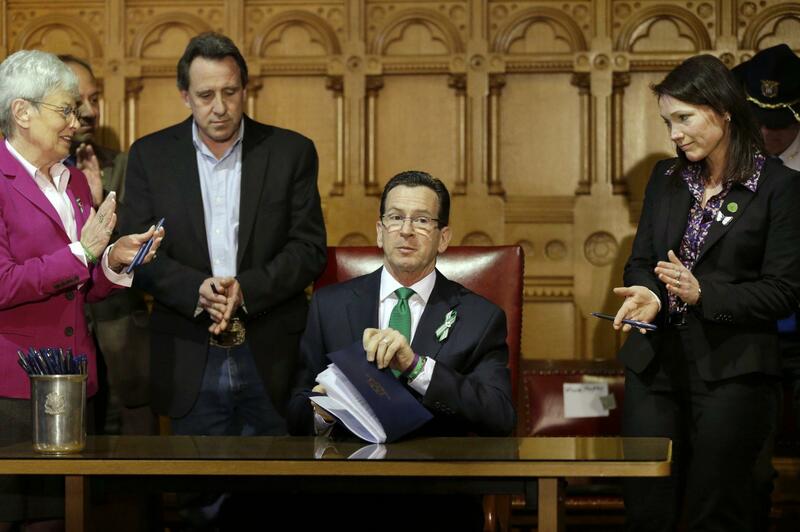 “If Florida had done after the Orlando shooting what Connecticut had done, the Parkland shooting wouldn’t have taken place,” Malloy said. There is no way to know that for sure. 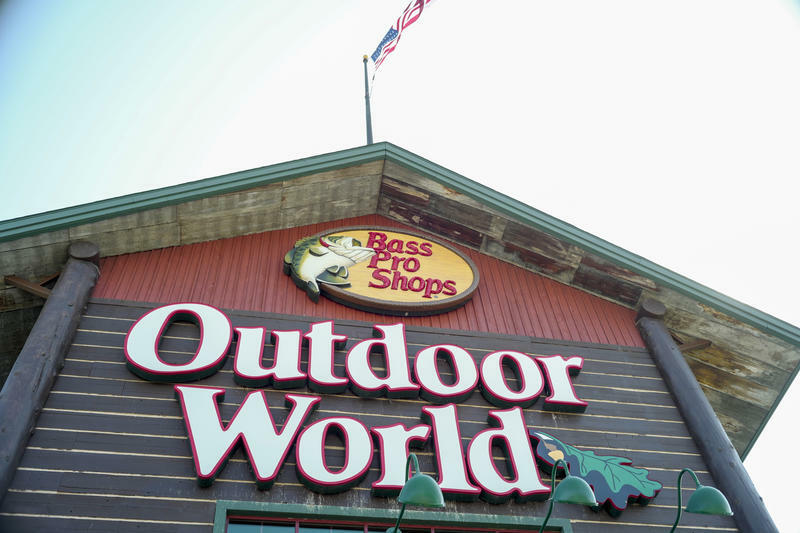 But it is true that the Parkland killer bought his AR-15-style rifle — which is banned in Connecticut — legally from a Florida gun shop. According to the Giffords Law Center to Prevent Gun Violence, states with the strictest gun laws — like Connecticut, California and Massachusetts — have the lowest rates of gun deaths, while states with the least restrictive laws — like Alaska, Alabama, Oklahoma and Louisiana — have the highest rates. Malloy said the lesson from Connecticut is that fewer guns leads to less violence. Another lesson is that it is possible to oppose to the NRA and win. But Scott Wilson is among those who say Connecticut went too far and is trampling on Second Amendment rights. Wilson, who heads the Connecticut Citizens Defense League, which challenged the state’s gun laws in federal court and lost, says a better way to make school safer is to make them more secure, and give teachers the means to defend themselves. Wilson argues: We protect banks and state capitols with guns, why not schools? “I think that would be a fair solution as opposed to stripping and eradicating our constitutional rights little by little,” Wilson said. 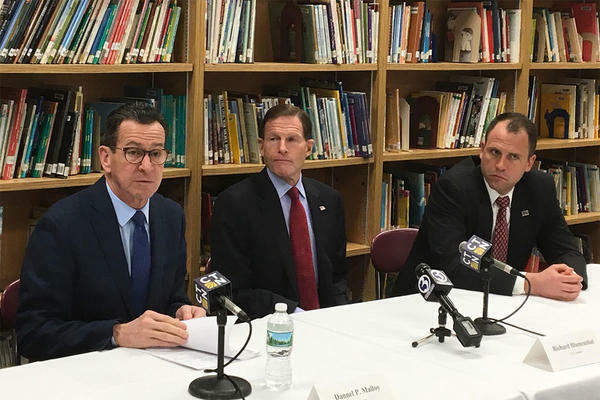 At the meeting on school safety in East Hartford, Malloy said he wants to spend more on making schools safer, but he opposes arming teachers. Everybody at the meeting, including teachers and parents, agreed with that. Sen. Blumenthal said he, too, disagreed with lawmakers who have suggested that arming teachers or school staff would make students safer. Since Sandy Hook, more than two dozen states have passed or introduced laws to loosen some of their gun laws. It remains to be seen if the shootings in Parkland, Florida, will reverse that trend. Republican Lt. Gov. Karyn Polito of Massachusetts signed a bill Friday, approved one day earlier by the state's Democrat-led Legislature, outlawing so-called bump stocks, accessories that allow semi-automatic firearms to mimic the rapid firing action of machine guns. 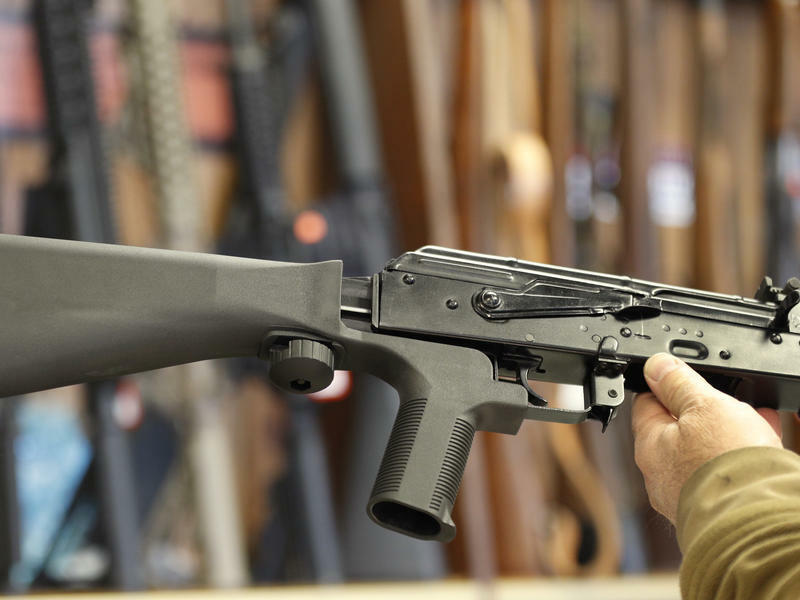 Massachusetts is the first state to enact a ban on bump stocks in the wake of last month's shooting in Las Vegas, the deadliest in modern American history.